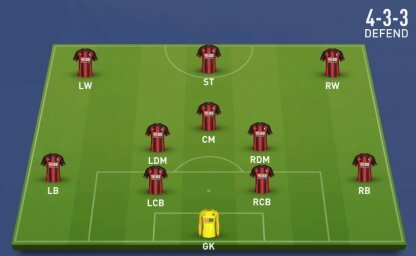 Check out our recommended formations for FIFA 19. 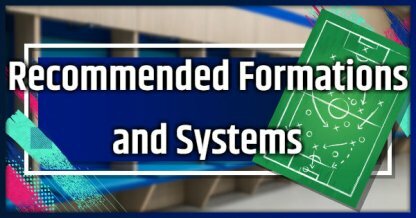 Learn how to use these formations & systems to improve playing in FIFA and score more goals! Formations and systems dictate how they approach the game and how they try to score goals. 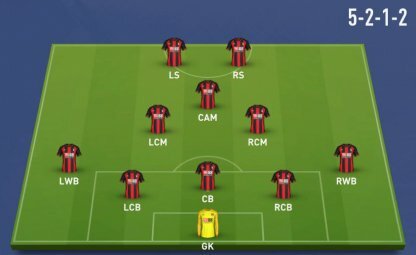 In this article, 3 recommended formations are introduced and broken down to better understand how they work. The 4-1-2-1-2 NARROW Formation puts emphasis on the wings to score goals. The formation allows for quick and easy passes while having a safe cushion of defense due to it having 4 players at the back. Be sure to have quick players for your wings and midfielder. This allows you to maximize the narrow formation. It is also recommended to have defensive minded CDM and CB's for potential counter attacks. There is not a lot of things to watch out for when using this formation. Your offensive style must be set to "Fast Build Up", in order for you to aggressively, and quickly go on the offense. Your width and depth should be set to about half since the number of your defenders is sufficient enough when handling attacks. The 5-2-1-2 Formation will be for more defensive-minded players. It packs many players in your defense to bring down the chances of your enemies getting through to your goal! 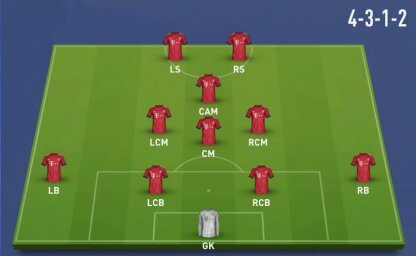 You will need to have very good attacking players as they will be outnumbered in this formation. Make sure your attackers are good dribblers and great shooters. You must also have good Wing Defenders to control the sides of the pitch! 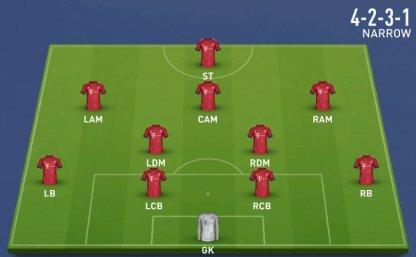 Avoid slow Midfielders as the offense of this formation heavily relies on fast players since they may be outnumbered playing against the opposition's defense! 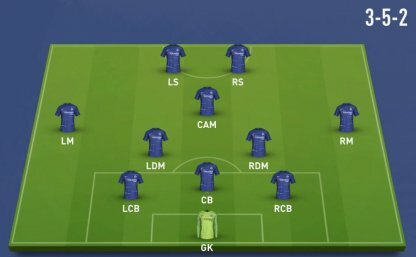 Since this formation heavily relies on lots of players defending, you would need to adjust your offensive tactics just a bit to compensate. No need to change your defensive tactics since the formation already has that covered. The 4-3-3 DEFEND Formation is a balanced formation that has its attackers defending as well. This formation's offense will rely on lots of crosses, or a Striker with high shooting ability. Make sure your wings are good at crossing and shooting so that an attack can come from anywhere. Your Midfielders should also be very good at dribbling and passing while having a high defense rating. As this formation relies on lots of crosses, try to avoid short strikers as they can easily lose crosses to opponents being able to touch the ball first. No need to change things up in this balanced formation. However, you should consider adjusting you Corners and Free Kicks to better suit your offensive needs. This formation will focus on having a balanced formation that will prioritize counter attacks as their main way of scoring. Pressure the ball in the midfield, and get through the defense with quick short passes to score! Have a good RM and LM as they may need to double as Wings, to give you more options on your offense. CAM would also be a key person to get goals! You would want to avoid slow defenders as they need to cover lots of ground if ever your opposition gets past the midfield. With lots of players in the midfield, you can apply constant pressure on the ball. The fast build up would be for when you win ball possession, you can quickly set up attackers before your opponent has a chance to respond! This formation will rely you playing through the middle of the field. A lot of emphasis is put on ball possession to win using this formation! 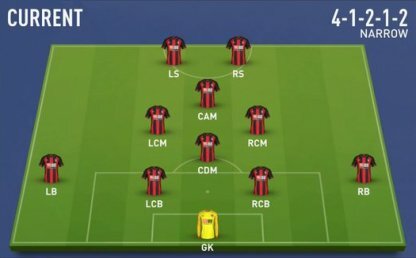 It is recommended that you have a very talented CAM on your squad as most of the formation will rely on them. They should have great dribbling, passing, and shot attributes. Your LCM and RCM should be very quick as they need to cover lots of ground, especially if the opponent decides to play their offense on the side. You will need to widen your formation up a bit as it is a bit narrow on the sides. Also adjusting the number of player in the box will help give you more opportunities to score!